As Theresa May is set to request another delay for Brexit, Donald Tusk has suggested the UK should be able to leave the EU at any point in a flexible delay of up to a year. European Council President Donald Tusk is proposing the UK has a “flexible” extension to its Brexit deadline lasting up to a year. Though the UK will be able to leave the EU earlier if Parliament decides to. Tusk’s proposal will have to be confirmed unanimously by EU leaders at a summit next week, but the idea is to stop wasting time having to consider continuous British requests for short delays. The Prime Minister has written to Donald Tusk today to request another delay with the deadline of April 12 approaching if Parliament has not ratified a deal. Theresa May is requesting a delay today ahead of the EU summit next Wednesday though she has proposed a short delay. She says Britain will make preparations to participate in the EU Parliament elections but she will only want a delay until June 30 when the new MEPs start to sit in teh EUropean Parliament. 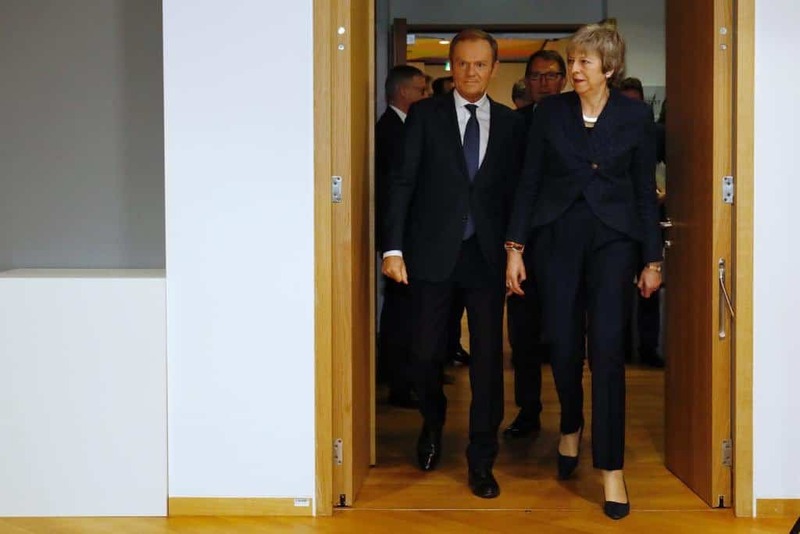 The Government is yet to find a majority for any proposal, May writes in her request to Donald Tusk, adding that it is in nobody’s interest for the UK to participate in the EU elections, yet Britain will make preparations to. Today Theresa May and Jeremy Corbyn will continue to work to find a compromise Brexit deal, but whether they can compromise or a majority of MPs would agree to it remaisn to be seen. In cross party talks between the Tory and Labour party leaderships to find a Brexit deal they can agree on, Labour is set to receive a list of items on which Theresa May is prepared to compromise on. If the UK is granted a flexible delay of up to a year, that would be enough time for a general election or a referendum on Brexit to be held. Labour Deputy Leader Tom Watson today said he reluctantly supported a confirmatory vote from the people where parliament had failed. “They can work out themselves whether this deal works for them and their families,” he told BBC’s Radio 4 Today Programme. Attorney General Geoffrey Cox told the BBC that if cross party talks fail, the delay to Brexit is “likely to be a long one”.